"Dad was right - it really is possible." Disney has revealed a new international trailer for Ava DuVernary's adaptation of A Wrinkle in Time, based on the novel by Madeleine L'Engle. We've already seen multiple trailers and a TV spot for this, but one more trailer can't hurt, especially since it looks crazy cool. The sci-fi fantasy follows three people - Meg, her brother, and her friend - who are sent into space by three beings in hopes of finding her missing scientist father. 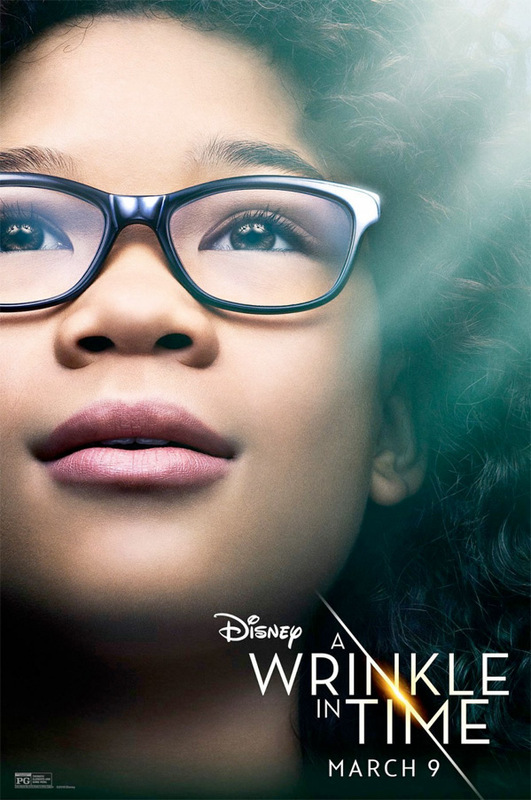 The impressive ensemble cast includes Chris Pine, Reese Witherspoon, Gugu Mbatha-Raw, Michael Peña, Zach Galifianakis, Oprah Winfrey, Bellamy Young, Mindy Kaling, Rowan Blanchard, Levi Miller, André Holland, Daniel MacPherson, Will McCormack, Deric McCabe, along with Storm Reid as Meg. Looking forward to this, in theaters soon. You can also still watch the first teaser trailer for A Wrinkle in Time here, or the second full-length trailer.